ZEOmag is a pure magnesium granualte. 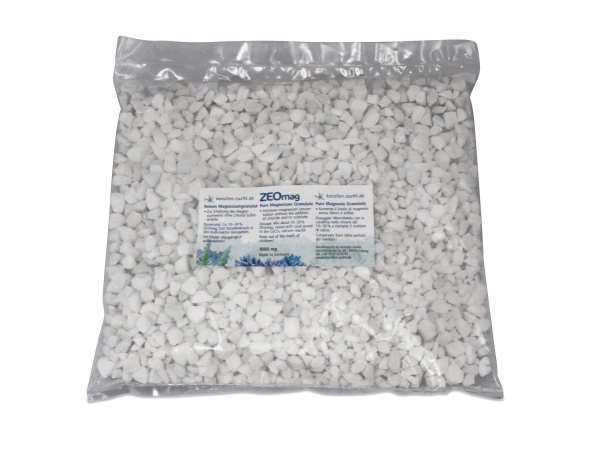 Mix with the coral gravel media at a rate of 10 – 30 % and fill into the calcium reactor. Coarse grain of 6 – 12 mm. Increases magnesium without chloride sulphate. Recommended in any tank system.